Your dog can get into trouble by eating grass and bugs outdoors, candy left on the couch, and we know it’s hard to resist feeding him table scraps every now and then. As a dog parent, you know that diet is an important element for keeping your dog healthy, active, and at an appropriate weight. Checking ingredients for your own food can be a daunting task, not to mention checking those of your pet’s food. It’s hard to know what exactly goes into pet store foods, what’s healthy, and what’s not. Making homemade dog food is an option that many dog owners have turned to, but is it a safe and simple task to execute? There are certain tips you’ll need to know to keep your homemade dog food healthy and safe. 1. Begin with a good recipe. 2. Prepare the recipe correctly. Avoid improvisation here and follow the recipe to a “T”. Changing it can have unintended effects. For example, cooking chicken without skin or bone can change how many nutrients are found in the final product. Also, be certain to not swap ingredients. Although some ingredients may seem similar, their nutritional values could be vastly different. Changing ingredients could easily and unintentionally unbalance the food. A food scale would be beneficial here because it is more accurate than measuring cups, especially for meat. Cook all animal products thoroughly to make sure there is no bacteria that could harm your pet. Also – never add foods that are toxic to dogs. 3. Add the right amount of nutrients and supplements. A balanced diet is crucial for your dog. Even the best recipes may not provide enough of certain nutrients, like calcium. If you’re feeding your dogs from food you’ve made from scratch chances are you’ll have to add some supplements to their food. Which ones you add will depend on which are missing from his meals. A good recipe will include how to add these supplements, but if you are still unsure you can consult with a pet nutritionist. Avoid adding too many carbohydrates in the form of rice, potatoes, corn, and brown rice. 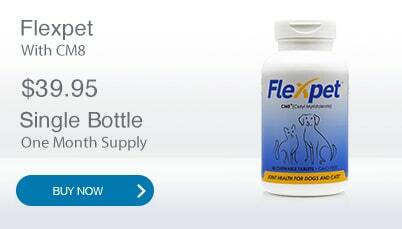 Dogs lack the digestive enzymes to break down and metabolize excessive carbohydrates. Carbs can contribute to conditions such as obesity, inflammatory bowl disease, allergies, and kidney disease. Often they are added to commercial dog food in order to cut down on production costs. In fact, some research suggests carbohydrates are not needed for a balanced dog diet. 5. Make sure the diet is working. After your dog has been eating your homemade dog food for about 2 to 3 weeks, weigh him, or take him to the vet to see if the diet has had a positive impact. Be mindful of your dog’s demeanor, his play habits, and his weight, as these factors can reveal if his diet is effective. 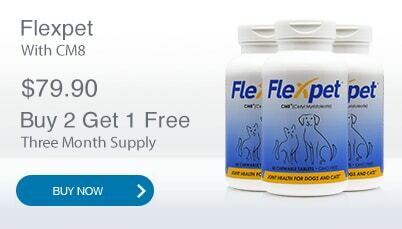 Your dog should go to the vet twice a year for a checkup. The vet will check his coat, skin, and body condition, conditions that are affected by diet. After your dog is evaluated you can see if there are changes to be made to his diet. As you become more mindful about what your dog consumes, making homemade dog food may become an appropriate option for you. 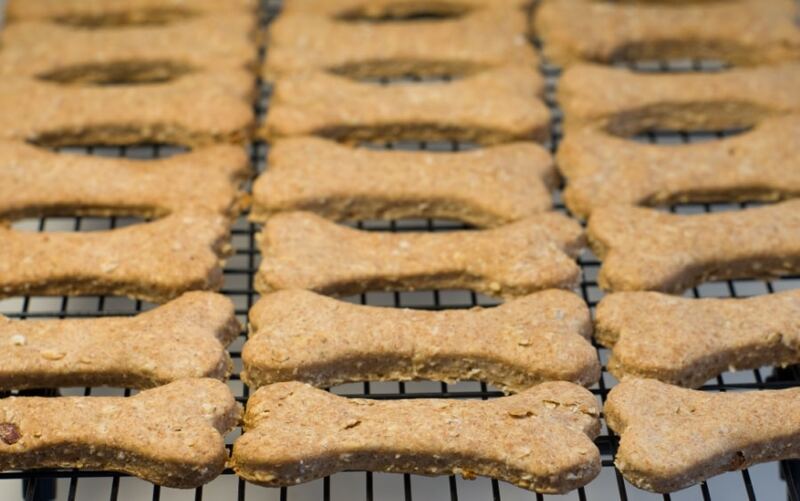 Before taking the leap to create your own doggy treats and meals, it’s important to take into consideration these important tips to keep your dog happy and healthy. Making homemade dog food can be difficult, but as long as you have all the working parts to make a healthy and successful meal, your dog should be eating your healthy creations in no time! As your dog gets older, there are several steps you can take to help him or her age gracefully, in addition to making homemade dog food. To learn more, download our free eBook by clicking below. Diamond Naturals High Protein Senior Dry Dog Food recipe along with added vitamin E and selenium support joints. So Probiotics and added super food to be strong and active. Because Diamond Naturals High Protein Senior Dry Dog Food ensures exact amount of vitamin E and selenium which your dog for receiving optimum antioxidant nutrition and fiber for digestive and immune system support, Diamond Pet Foods provide all the nutrients your pet needs, day after day. Thanks for your helpful tips, It’s really important to care about homemade dogs food.